← Deadline for Awards & Scholarship Applications Extended! If you would still like to be on the board – we have several chairman positions that are open. 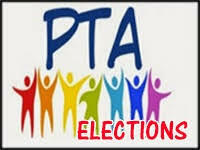 If you would like to run from the floor for one of the elected positions above-please email Autumn Neagle at 15thdistrictpta.president@gmail.com by April 8, 2019. No other nominations from the floor will be accepted past April 8, 2019 in compliance with our bylaws.